To explain how I came to change my opinion about water fluoridation, I must go back to when I was an ardent advocate of the procedure. I now realize that I had learned, in my training in dentistry, only one side of the scientific controversy over fluoridation. I had been taught, and believed, that there was really no scientific case against fluoridation, and that only misinformed lay people and a few crackpot professionals were foolish enough to oppose it. I recall how, after I had been elected to a local government in Auckland (New Zealand’s largest city, where I practised dentistry for many years and where I eventually became the Principal Dental Officer) I had fiercely — and, I now regret, rather arrogantly — poured scorn on another Council member (a lay person who had heard and accepted the case against fluoridation) and persuaded the Mayor and majority of my fellow councillors to agree to fluoridation of our water supply. A few years later, when I had become the city’s Principal Dental Officer, I published a paper in the New Zealand Dental Journal that reported how children’s tooth decay had declined in the city following fluoridation of its water, to which I attributed the decline, pointing out that the greatest benefit appeared to be in low-income areas . My duties as a public servant included supervision of the city’s school dental clinics, which were part of a national School Dental Service which provided regular six-monthly dental treatment, with strictly enforced uniform diagnostic standards, to almost all (98 percent) school children up to the age of 12 or 13 years. I thus had access to treatment records, and therefore tooth decay rates, of virtually all the city’s children. In the study I claimed that such treatment statistics “provide a valid measure of the dental health of our child population” . That claim was accepted by my professional colleagues, and the study is cited in the official history of the New Zealand Dental Association . 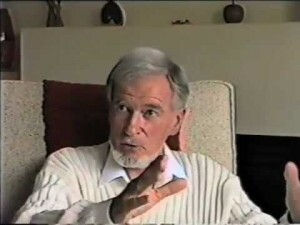 Dr John Colquhoun, Former Auckland Principal Dental Officer Auckland, was a whistle-blower who uncovered evidence that NZ Health Officials had doctored Fluoride statistics. I was so articulate and successful in my support of water fluoridation that my public service superiors in our capital city, Wellington, approached me and asked me to make fluoridation the subject of a world study tour in 1980 — after which I would become their expert on fluoridation and lead a campaign to promote fluoridation in those parts of New Zealand which had resisted having fluoride put into their drinking water. Before I left on the tour my superiors confided to me that they were worried about some new evidence which had become available: information they had collected on the amount of treatment children were receiving in our school dental clinics seemed to show that tooth decay was declining just as much in places in New Zealand where fluoride had not been added to the water supply. But they felt sure that, when they had collected more detailed information, on all children (especially the oldest treated, 12-13 year age group) from all fluoridated and all nonfluoridated places  — information which they would start to collect while was I away on my tour — it would reveal that the teeth were better in the fluoridated places: not the 50 to 60 percent difference which we had always claimed resulted from fluoridation, but a significant difference nonetheless. They thought that the decline in tooth decay in the nonfluoridated places must have resulted from the use of fluoride toothpastes and fluoride supplements, and from fluoride applications to the children’s teeth in dental clinics, which we had started at the same time as fluoridation. Being a keen fluoridationist, I readily accepted their explanation. Previously, of course, we had assured the public that the only really effective way to reduce tooth decay was to add fluoride to the water supply. My world study tour took me to North America, Britain, Europe, Asia, and Australia . In the United States I discussed fluoridation with Ernest Newbrun in San Francisco, Brian Burt in Ann Arbor, dental scientists and officials like John Small in Bethesda near Washington, DC, and others at the Centers for Disease Control in Atlanta. I then proceeded to Britain, where I met Michael Lennon, John Beale, Andrew Rugg-Gunn, and Neil Jenkins, as well as many other scientists and public health officials in Britain and Europe. Although I visited only pro-fluoridation research centers and scientists, I came across the same situation which concerned my superiors in New Zealand. Tooth decay was declining without water fluoridation. Again I was assured, however, that more extensive and thorough surveys would show that fluoridation was the most effective and efficient way to reduce tooth decay. Such large-scale surveys, on very large numbers of children, were nearing completion in the United States, and the authorities conducting them promised to send me the results. So I returned from my study tour reinforced in my pro-fluoridation beliefs by these reassurances from fluoridationists around the world. I expounded these beliefs to my superiors, and was duly appointed chairman of a national “Fluoridation Promotion Committee.” I was instructed to inform the public, and my fellow professionals, that water fluoridation resulted in better children’s teeth, when compared with places with no fluoridation. Before complying, I looked at the new dental statistics that had been collected while I was away for my own Health District, Auckland. These were for all children attending school dental clinics — virtually the entire child population of Auckland. To my surprise, they showed that fewer fillings had been required in the nonfluoridated part of my district than in the fluoridated part. When I obtained the same statistics from the districts to the north and south of mine — that is, from “Greater Auckland,” which contains a quarter of New Zealand’s population — the picture was the same: tooth decay had declined, but there was virtually no difference in tooth decay rates between the fluoridated and non fluoridated places. In fact, teeth were slightly better in the nonfluoridated areas. I wondered why I had not been sent the statistics for the rest of New Zealand. When I requested them, they were sent to me with a warning that they were not to be made public. Those for 1981 showed that in most Health Districts the percentage of 12- and 13-year-old children who were free of tooth decay – that is, had perfect teeth – was greater in the non-fluoridated part of the district. Eventually the information was published . Over the next few years these treatment statistics, collected for all children, showed that, when similar fluoridated and non-fluoridated areas were compared, child dental health continued to be slightly better in the non-fluoridated areas [5,6]. My professional colleagues, still strongly defensive of fluoridation, now claimed that treatment statistics did not provide a valid measure of child dental health, thus reversing their previous acceptance of such a measure when it had appeared to support fluoridation. I did not carry out the instruction to tell people that teeth were better in the fluoridated areas. Instead, I wrote to my American colleagues and asked them for the results of the large-scale surveys they had carried out there. I did not receive an answer. Some years later, Dr John Yiamouyiannis obtained the results by then collected by resorting to the U.S. Freedom of Information Act, which compelled the authorities to release them. The surveys showed that there is little or no differences in tooth decay rates between fluoridated and nonfluoridated places throughout America . Another publication using the same database, apparently intended to counter that finding, reported that when a more precise measurement of decay was used, a small benefit from fluoridation was shown (20 percent fewer decayed tooth surfaces, which is really less than one cavity per child) . Serious errors in that report, acknowledged but not corrected, have been pointed out, including a lack of statistical analysis and a failure to report the percentages of decay-free children in the fluoridated and nonfluoridated areas . Other large-scale surveys from United States, from Missouri and Arizona, have since revealed the same picture: no real benefit to teeth from fluoride in drinking water [9, 10]. For example, Professor Steelink in Tucson, AZ, obtained information on the dental status of all schoolchildren – 26,000 of them – as well as information on the fluoride content of Tucson water . He found: “When we plotted the incidence of tooth decay versus fluoride content in a child’s neighborhood drinking water, a positive correlation was revealed. In other words, the more fluoride a child drank, the more cavities appeared in the teeth” . From other lands — Australia, Britain, Canada, Sri Lanka, Greece, Malta, Spain, Hungary, and India — a similar situation has been revealed: either little or no relation between water fluoride and tooth decay, or a positive one (more fluoride, more decay) [12-17]. For example, over 30 years Professor Teotia and his team in India have examined the teeth of some 400,000 children. They found that tooth decay increases as fluoride intake increases. 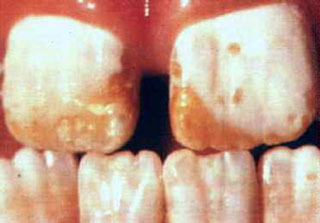 Tooth decay, they decided, results from a deficiency of calcium and an excess of fluoride . At first I thought, with my colleagues, that other uses of fluoride must have been the main cause of the decline in tooth decay throughout the western world. But what came to worry me about that argument was the fact that, in the nonfluoridated part of my city, where decay had also declined dramatically, very few children used fluoride toothpaste, many had not received fluoride applications to their teeth, and hardly any had been given fluoride tablets. So I obtained the national figures on tooth decay rates of five-year-olds from our dental clinics which had served large numbers of these children from the 1930s on . They show that tooth decay had started to decline well before we had started to use fluorides (Fig. 1). Also, the decline has continued after all children had received fluoride all their lives, so the continuing decline could not be because of fluoride. The fewer figures available for older children are consistent with the above pattern of decline . So fluorides, while possibly contributing, could not be the main cause of the reduction in tooth decay. So what did cause this decline, which we find in most industrialized countries? I do not know the answer for sure, but we do know that after the second world war there was a rise in the standard of living of many people. In my country there has been a tremendous increase in the consumption of fresh fruit and vegetables since the 1930s, assisted by the introduction of household refrigerators . There has also been an eightfold increase in the consumption per head of cheese, which we now know has anti-decay properties [19, 20]. These nutritional changes, accompanied by a continuing decline in tooth decay, started before the introduction of fluorides. The influence of general nutrition in protection against tooth decay has been well described in the past , but is largely ignored by the fluoride enthusiasts, who insist that fluorides have been the main contributor to improved dental health. The increase in tooth decay in third-world countries, much of which has been attributed to worsening nutrition , lends support to the argument that improved nutrition in developed countries contributed to improved dental health. The studies showing little if any benefit from fluoridation have been published since 1980. Are there contrary findings? Yes: many more studies, published in dental professional journals, claim that there is a benefit to teeth from water fluoride. An example is a recent study from New Zealand , carried out in the southernmost area of the country . Throughout New Zealand there is a range of tooth decay rates, from very high to very low, occurring in both fluoridated and nonfluoridated areas. The same situation exists in other countries. What the pro-fluoride academics at our dental school did was to select from that southern area four communities: one nonfluoridated, two fluoridated, and another which had stopped fluoridation a few years earlier. Although information on decay rates in all these areas was available to them, from the school dental service, they chose for their study the one non-fluoridated community with the highest decay rate and two fluoridated ones with low decay rates, and compared these with the recently stopped fluoridated one, which happened to have medium decay rates (both before and after it had stopped fluoridation). The teeth of randomly selected samples of children from each community were examined. The chosen communities, of course, had not been randomly selected. The results, first published with much publicity in the news media, showed over 50 percent less tooth decay in the fluoridated communities, with the recently defluoridated town in a “middle” position (see left side of Fig. 2). When I obtained the decay rates for all children in all the fluoridated and all the nonfluoridated areas in that part of New Zealand, as well as the decay rates for all children in the recently defluoridated town, they revealed that there are virtually no differences in tooth decay rates related to fluoridation (see right side of Fig. 2). When I confronted the authors with this information, they retorted that the results of their study were consistent with other studies. And of course it is true that many similar studies have been published in the dental professional literature. It is easy to see how the consistent results are obtained: an appropriate selection of the communities being compared. There is another factor: most pro-fluoridation studies (including this New Zealand one) were not “blind” — that is, the examiners knew which children received fluoride and which did not. Diagnosis of tooth decay is a very subjective exercise, and most of the examiners were keen fluoridationists, so it is easy to see how their bias could affect their results. It is just not possible to find a blind fluoridation study in which the fluoridated and nonfluoridated populations were similar and chosen randomly. One of the early fluoridation studies listed in the textbooks is a New Zealand one, the “Hastings Fluoridation Experiment” (the term “experiment” was later dropped because the locals objected to being experimented on) . I obtained the Health Department’s fluoridation files under my own country’s “Official Information” legislation. They revealed how a fluoridation trial can, in effect, be rigged . The school dentists in the area of the experiment were instructed to change their method of diagnosing tooth decay, so that they recorded much less decay after fluoridation began. 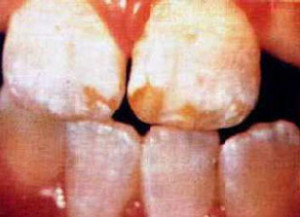 Before the experiment they had filled (and classified as “decayed”) teeth with any small catch on the surface, before it had penetrated the outer enamel layer.After the experiment began, they filled (and classified as “decayed”) only teeth with cavities which penetrated the outer enamel layer. It is easy to see why a sudden drop in the numbers of “decayed and filled” teeth occurred. This change in method of diagnosis was not reported in any of the published accounts of the experiment. Another city, Napier, which was not fluoridated but had otherwise identical drinking water, was at first included in the experiment as an “ideal control” — to show how tooth decay did not decline the same as in fluoridated Hastings. But when tooth decay actually declined more in the non-fluoridated control city than in the fluoridated one, in spite of the instructions to find fewer cavities in the fluoridated one, the control was dropped and the experiment proceeded with no control. (The claimed excuse was that a previously unknown trace element, molybdenum, had been discovered in some of the soil of the control city, making tooth decay levels there unusually low , but this excuse is not supported by available information, from the files or elsewhere, on decay levels throughout New Zealand). The initial sudden decline in tooth decay in the fluoridated city, plus the continuing decline which we now know was occurring everywhere else in New Zealand, were claimed to prove the success of fluoridation. These revelations from government files were published in the international environmental journal, The Ecologist, and presented in 1987 at the 56th Congress of the Australian and New Zealand Association for the Advancement of Science . When I re-examined the classic fluoridation studies, which had been presented to me in the text books during my training, I found, as others had before me, that they also contained serious flaws [28-30]. The earliest set, which purported to show an inverse relationship between tooth decay prevalence and naturally occurring water fluoride concentrations, are flawed mainly by their nonrandom methods of selecting data. The later set, the “fluoridation trials” at Newburgh, Grand Rapids, Evanston, and Brantford, display inadequate baselines, negligible statistical analysis, and especially a failure to recognize large variations in tooth decay prevalence in the control communities. We really cannot know whether or not some of the tooth decay reductions reported in those early studies were due to water fluoride. I do not believe that the selection and bias that apparently occurred was necessarily deliberate. Enthusiasts for a theory can fool themselves very often, and persuade themselves and others that their activities are genuinely scientific. I am also aware that, after 50 years of widespread acceptance and endorsement of fluoridation, many scholars (including the reviewers of this essay) may find it difficult to accept the claim that the original fluoridation studies were invalid. That is why some of us, who have reached that conclusion, have submitted an invitation to examine and discuss new and old evidence “in the hope that at least some kind of scholarly debate will ensue” . However, whether or not the early studies were valid, new evidence strongly indicates that water fluoridation today is of little if any value. Moreover, it is now widely conceded that the main action of fluoride on teeth is a topical one (at the surface of the teeth), not a systemic one as previously thought, so that there is negligible benefit from swallowing fluoride . The other kind of evidence which changed my mind was that of harm from fluoridation. We had always assured the public that there was absolutely no possibility of any harm. We admitted that a small percentage of children would have a slight mottling of their teeth, caused by the fluoride, but this disturbance in the formation of tooth enamel would, we asserted, be very mild and was nothing to worry about. It was, we asserted, not really a sign of toxicity (which was how the early literature on clinical effects of fluoride had described it) but was only at most a slight, purely cosmetic change, and no threat to health. In fact, we claimed that only an expert could ever detect it. So it came as a shock to me when I discovered that in my own fluoridated city some children had teeth like those in Fig. 3. This kind of mottling answered the description of dental fluorosis (bilateral diffuse opacities along the growth lines of the enamel). Some of the children with these teeth had used fluoride toothpaste and swallowed much of it. But I could not find children with this kind of fluorosis in the nonfluoridated parts of my Health District, except in children who had been given fluoride tablets at the recommended dose of that time. I published my findings: 25 percent of children had dental fluorosis in fluoridated Auckland and around 3 percent had the severer (discolored or pitted) degree of the condition . At first the authorities vigorously denied that fluoride was causing this unsightly mottling. However, the following year another Auckland study, intended to discount my finding, reported almost identical prevalences and severity, and recommended lowering the water fluoride level to below 1 ppm . Others in New Zealand and the United States have reported similar findings. All these studies were reviewed in the journal of the International Society for Fluoride Research . The same unhappy result of systemic administration of fluoride has been reported in children who received fluoride supplements . As a result, in New Zealand as elsewhere, the doses of fluoride tablets were drastically reduced, and parents were warned to reduce the amount of fluoride toothpaste used by their children, and to caution them not swallow any. Fluoridationists would not at first admit that fluoridated water contributed to the unsightly mottling — though later, in some countries including New Zealand, they also recommended lowering the level of fluoride in the water. They still insist that the benefit to teeth outweighs any harm. Common sense should tell us that if a poison circulating in a child’s body can damage the tooth-forming cells, then other harm also is likely. We had always admitted that fluoride in excess can damage bones, as well as teeth. By 1983 I was thoroughly convinced that fluoridation caused more harm than good. I expressed the opinion that some of these children with dental fluorosis could, just possibly, have also suffered harm to their bones [Letter to Auckland Regional Authority, January 1984]. This opinion brought scorn and derision: there was absolutely no evidence, my dental colleagues asserted, of any other harm from low levels of fluoride intake, other than mottling of the teeth. Six years later, the first study reporting an association between fluoridated water and hip fractures in the elderly was published . It was a large-scale one. Computerization has made possible the accumulation of vast data banks of information on various diseases. Hip fracture rates have increased dramatically, independently of the increasing age of populations. Seven other studies have now reported this association between low water fluoride levels and hip fractures [38-44]. Have there been contrary findings? Yes; but most of the studies claiming no association are of small numbers of cases, over short periods of time, which one would not expect to show any association [45, 46]. Another, comparing a fluoridated and a nonfluoridated Canadian community, also found an association in males but not in females, which hardly proves there is no difference in all cases . Our fluoridationists claim that the studies which do show such an association are only epidemiological ones, not clinical ones, and so are not conclusive evidence. But in addition to these epidemiological studies, clinical trials have demonstrated that when fluoride was used in an attempt to treat osteoporosis (in the belief it strengthened bones), it actually caused more hip fractures [48-52]. That is, when fluoride accumulates in bones, it weakens them. We have always known that only around half of any fluoride we swallow is excreted in our urine; the rest accumulates in our bones [53, 54]. But we believed that the accumulation would be insignificant at the low fluoride levels of fluoridated water. However, researchers in Finland during the 1980s reported that people who lived 10 years or more in that country’s one fluoridated city, Kuopio, had accumulated extremely high levels of fluoride in their bones — thousands of parts per million — especially osteoporosis sufferers and people with impaired kidney function [55, 56]. After this research was published, Finland stopped fluoridation altogether. But that information has been ignored by our fluoridationists. An association with hip fracture is not the only evidence of harm to bones from fluoridation. Five years ago, animal experiments were reported of a fluoride-related incidence of a rare bone cancer, called osteosarcoma, in young male rats . Why only the male animals got the bone cancer is not certain, but another study has reported that fluoride at very low levels can interfere with the male hormone, testosterone . That hormone is involved in bone growth in males but not in females. This finding was dismissed by fluoridation promoters as only “equivocal evidence,” unlikely to be important for humans. But it has now been found that the same rare bone cancer has increased dramatically in young human males — teenage boys aged 9 to 19 — in the fluoridated areas of America but not in the nonfluoridated areas . The New Jersey Department of Health reported osteosarcoma rates were three to seven times higher in its fluoridated areas than in its nonfluoridated areas . Once again, our fluoridationists are claiming that this evidence does not “conclusively” demonstrate that fluoride caused the cancers, and they cite small-scale studies indicating no association. One study claimed that fluoride might even be protective against osteosarcoma ; yet it included only 42 males in its 130 cases, which meant the cases were not typical of the disease, because osteosarcoma is routinely found to be more common in males. Also, the case-control method used was quite inappropriate, being based on an assumption that if ingested fluoride was the cause, osteosarcoma victims would require higher fluoride exposure than those without the disease. The possibility that such victims might be more susceptible to equal fluoride exposures was ignored. All these counter-claims have been subjected to critical scrutiny which suggests they are flawed [62, 63]. Nonetheless, the pro-fluoride lobbyists continue to insist that water fluoridation should continue because, in their view, the benefits to teeth outweigh the possibility of harm. Many dispute that assessment. There is much more evidence that tooth mottling is not the only harm caused by fluoridated water. Polish researchers, using a new computerized method of X-ray diagnosis, reported that boys with dental fluorosis also exhibit bone structure disturbances . Even more chilling is the evidence from China that children with dental fluorosis have on average lower intelligence scores [65, 66]. This finding is supported by a recently published animal experiment in America, which showed that fluoride also accumulated in certain areas of the brain, affecting behavior and the ability to learn . Concerning the oft-repeated observation that fluoridation has enjoyed overwhelming scientific endorsement, one should remember that even strongly supported theories have eventually been revised or replaced. >From the outset, distinguished and reputable scientists opposed fluoridation, in spite of considerable intimidation and pressure [68, 69]. Most of the world has rejected fluoridation. Only America where it originated, and countries under strong American influence persist in the practice. Denmark banned fluoridation when its National Agency for Environmental Protection, after consulting the widest possible range of scientific sources, pointed out that the long-term effects of low fluoride intakes on certain groups in the population (for example, persons with reduced kidney function), were insufficiently known . Sweden also rejected fluoridation on the recommendation of a special Fluoride Commission, which included among its reasons that: “The combined and long-term environmental effects of fluoride are insufficiently known” . Holland banned fluoridation after a group of medical practitioners presented evidence that it caused reversible neuromuscular and gastrointestinal harm to some individuals in the population . Environmental scientists, as well as many others, tend to doubt fluoridation. In the United States, scientists employed by the Environmental Protection Agency have publicly disavowed support for their employer’s pro-fluoridation policies . The orthodox medical establishment, rather weak or even ignorant on environmental issues, persist in their support, as do most dentists, who tend to be almost fanatical about the subject. In English- speaking countries, unfortunately, the medical profession and its allied pharmaceutical lobby (the people who sell fluoride) seem to have more political influence than environmentalists. Colquhoun J. The influence of social rank and fluoridation on dental treatment requirements. New Zealand Dental Journal 73 146-148 1977. Brooking TWH. A History of Dentistry in New Zealand. Dunedin. New Zealand Dental Association 1980 pp 214-215. Hollis MJ, Hunter PB. Official Instructions: Dental health statistics, Form II children. School Dental Service Gazette 41 (3) 19 1980. Colquhoun J. New evidence on fluoridation. Social Science and Medicine 19 1239-1246 1984. Colquhoun J. Influence of social class and fluoridation on child dental health. Community Dentistry and Oral Epidemiology 13 37-41 1985. Colquhoun J. Child dental health differences in New Zealand. Community Health Studies 11 85-90 1987. Yiamouyiannis JA. Water fluoridation and tooth decay: Results from the 1986-1987 national survey of U.S. schoolchildren. Fluoride 23 55-67 1990. Brunelle JA, Carlos JP Recent trends in dental caries in U. S. children and the effect of water fluoridation. Journal of Dental Research 69 (Special Issue) 723-728 1990. Hildebolt CF, Elvin-Lewis M, Molnar S et al. Caries prevalences among geochemical regions of Missouri. American Journal of Physical Anthropology 78 79-92 1989. Jones T, Steelink C, Sierka J. Analysis of the causes of tooth decay in children in Tucson, Arizona. Paper presented at Annual Meeting of the American Association for the Advancement of Science, San Francisco, USA, February 1994. Abstract inFluoride 27 (4) 238 1994. Steelink C. Letter. Chemical and Engineering News 27 July 1992 pp 2-3. Diesendorf M A re-examination of Australian fluoridation trials. Search 17 256-261 1986. Diesendorf M. Have the benefits of water fluoridation been overestimated? International Clinical Nutrition Review 10 292-303 1990. Diesendorf M. The mystery of declining tooth decay. Nature 322 125-129 1986. Gray A S. Fluoridation: Time for a new base line? Journal of the Canadian Dental Association 53 763-765 1987. Ziegelbecker RC, Ziegelbecker R. WHO data on dental caries and natural water fluoride levels.Fluoride 26 263-266 1993. Teotia SPS, Teotia M. Dental caries: a disorder of high fluoride and low dietary calcium interactions (30 years of personal research). Fluoride 27 59-66 1994. Colquhoun J. Fluorides and the decline in tooth decay in New Zealand. Fluoride 26 125-134 1993. Hamilton V, Birkbeck JA. The Home Style Survey of New Zealand‘s Changing Diet. Quality Bakers, Palmerston North 1985. Herod EL. The effect of cheese on dental caries: A review of the literature. Australian Dental Journal 36 (2)120-125 1991. Price WA. Nutrition and Physical Degeneration. Heuber, New York 1939. Smith G. Tooth decay in the developing world: could a vaccine help prevent cavities? Perspectives in Biology and Medicine 31 440-453 1988. Treasure ET, Dever JG. The prevalence of caries in 5-year-old children living in fluoridated and non-fluoridated communities in New Zealand. New Zealand Dental Journal 88 9-13 1992. Ludwig TG. The Hastings fluoridation project. New Zealand Dental Journal 54 165-172 1958. 55 176-179 1959. 58 22-24 1962 (co-author EIF Pearce). 59 298-301 1963. 61 175-179 1965. 67 155-160 1971. Department of Health files on fluoridation in National Archives, Wellington, New Zealand. Copies in possession of author and described in: Colquhoun J. Education and Fluoridation in New Zealand: An historical study (PhD dissertation, University of Auckland). University Microfilms International, Ann Arbor MI 1987. Ludwig TG. Recent marine soils and resistance to dental caries. Australian Dental Journal 8 109-113 1963. Colquhoun J, Mann R. The Hastings fluoridation experiment: Science or swindle? Ecologist 16 (6) 243-248 1986 17 (2) 125-126 1987. Colquhoun J. Flawed foundation: A re-examination of the scientific basis for a dental benefit from fluoridation. Community Health Studies 14 288-296 1990. Klerer M. The fluoridation experiment. Contemporary Issues 7 119-143 1956. Sutton PRN. Fluoridation: Errors and Omissions in Experimental Trials. Melbourne University Press, Melbourne 1960. Diesendorf M, Colquhoun J, Spittle B J et al. New evidence on fluoridation. Australian and New Zealand Journal of Public Health 21 187-190 1997. Journal of Dental Research 69 (Special Issue) 606-613 742-750 556-557 1990. Colquhoun J. Disfiguring dental fluorosis in Auckland, New Zealand. Fluoride 17 234-242 1984. Cutress TW, Suckling GW, Pearce EIF, Ball ME. Defects in tooth enamel in children in fluoridated and non-fluoridated water areas of the Auckland Region. New Zealand Dental Journal 81 12-19 1985. Colquhoun J. Disfiguring or “white and strong”? Fluoride 23 104-111 1990. Aasenden R, Peebles TC. Effects of fluoride supplementation from birth on human deciduous and permanent teeth. Archives of Oral Biology 19 321-326 1974. Jacobsen SJ, Goldberg J, Miles TP et al. Regional variation in the incidence of hip fracture among white women aged 65 years and older. Journal of the American Medical Association 264 500-502 1990.
Cooper C, Wickham CAC, Barker DJR, Jacobsen SJ. Letter. Journal of the American Medical Association 266 513-514 1991. Jacobsen SJ, Goldberg J, Cooper C, Lockwood SA. The association between water fluoridation and hip fracture among white women and men aged 65 years and older. A national ecologic study. Annals of Epidemiology 2 617-626 1992. Sowers MFR, Clark MK, Jannausch ML, Wallace RB. A prospective study of bone mineral content and fracture in communities with differential fluoride exposure. American Journal of Epidemiology 133 649-660 1991. Jacqmin-Gadda H, Commenges D, Dartigues J-F. Fluorine concentration in drinking water and fractures in the elderly. Journal of the American Medical Association 273 775-776 1995. Danielson C, Lyon JL, Egger M, Goodenough GK. Hip fractures and fluoridation in Utah’s elderly population. Journal of the American Medical Association 268 746-748 1992. Keller C. Fluorides in drinking water. Paper presented at Workshop on Drinking Water Fluoride Influence on Hip Fractures and Bone Health. Bethesda MD, April 10 1991. May DS., Wilson MG. Hip fractures in relation to water fluoridation: an ecologic analysis. Paper presented at Workshop on Drinking Water Fluoride Influence on Hip Fractures and Bone Health. Bethesda MD, April 10, 1991. Cauley JA, Murphy PA, Riley T, Black D. Public health bonus of water fluoridation: Does fluoridation prevent osteoporosis and its related fractures? American Journal of Epidemiology 134 768 1991. Abstract. Jacobsen SJ, O’Fallon WM, Melton III IJ. Hip fracture incidence before and after fluoridation of the public water supply, Rochester, Minnesota. American Journal of Public Health 83 743-745 1993. Suarez-Almazor ME, Flowerdew G, Saunders LD et al. The fluoridation of drinking water and hip fracture hospitalization rates in 2 Canadian communities. American Journal of Public Health 83 689-693 1993. Riggs BL, Hodgson SF, O’Fallon WM et al. Effect of fluoride treatment on the fracture rate in postmenopausal women with osteoporosis. New England Journal of Medicine 322 802-809 1990. Kleerekoper M, Peterson E, Philips E et al. Continuous sodium fluoride therapy does not reduce vertebral fracture rate in postmenopausal osteoporosis.Journal of Bone and Mineral Research 4 (Suppl 1) S376 1989. Abstract. Hedlund LR, Gallagher JC. Increased incidence of hip fracture in osteoporotic women treated with sodium fluoride. Journal of Bone and Mineral Research 4 223-225 1989. Lindsay R. Fluoride and bone – quantity versus quality. New England Journal of Medicine 322 844-845 1990. Melton LJ. Fluoride in the prevention of osteoporosis and fractures. Journal of Bone and Mineral Research 5 (Suppl 1) S163-S167 1990. 53 Fluorides and Human Health. World Health Organization, Geneva 1970 pp 37-41. 54 Fluorine and Fluorides. World Health Organization, Geneva 1984 pp 152-153. Alhava EM, Olkkomen H, Kauranen P, Kari T. The effect of drinking water fluoridation on the fluoride content, strength and mineral density of human bone. Acta Orthopædica Scandinavica 51 413-420 1980. Arnala I, Alhava EM, Kauranen EM. Effects of fluoride on bone in Finland. histomorphometry of cadaver bone from low and high fluoride areas. Acta Orthopædica Scandinavica 56 161-166 1985. Maurer JK, Cheng MC, Boysen BG, Anderson RL. Two-year carcinogenicity study of sodium fluoride in rats. Journal, National Cancer Institute 82 1118-1126 1990. Kanwar KC, Parminderjit SV, Kalla NR. In vitro inhibition of testosterone synthesis in the presence of fluoride ions. IRCS Medical Science11 813-814 1983. Hoover RN, Devesa S, Cantor K, Fraumeni Jr JF. Time trends for bone and joint cancers and osteosarcomas in the Surveillance, Epidemiology and End Results (SEER) Program, National Cancer Institute. In: Review of Fluoride: Benefits and Risks, Report of the Ad Hoc Committee on Fluoride of the Committee to Coordinate Environmental Health and Related Programs. US Public Health Service, 1991. F1-F7. Cohn PD. A brief report on the association of drinking water fluoridation and the incidence of osteosarcoma among young males. New Jersey Department of Health, November 8 1992. Gelberg KH, Fitzgerald EF, Hwang S, Dubrow R. Fluoride exposure and childhood osteosarcoma: a case-control study. American Journal of Public Health 85 1678-1683 1995. Lee JR. Review of report by K H Gelberg et al. Fluoride 29 237-240 1996. Yiamouyiannis JA. Fluoridation and cancer. Fluoride 26 83-96 1993. Chlebna-Sokol D, Czerwinski E. Bone structure assessment on radiographs of distal radial metaphysis in children with dental fluorosis. Fluoride 26 37-44 1993. Li XS, Zhi JL, Gao RO. Effect of fluoride exposure on intelligence of children. Fluoride 28 189-192 1995. Zhao LB, Liang GH, Zhang DN, Wu XR. Effect of a high fluoride water supply on children’s intelligence. Fluoride 29 190-192 1996. Mullenix PJ, Denbesten PK, Schunior A, Kernan WJ. Neurotoxicity of sodium fluoride in rats.Neurotoxicology and Teratology 17 169-177 1995 (Cf. Editorial: Neurotoxicity of Fluoride. Fluoride 29 57-58 1996). Martin B.Scientific Knowledge in Controversy: The Social Dynamics of the Fluoridation Debate.State University of New York Press, Albany NY 1991. Waldbott GL, Burgstahler AW, McKinney HL. Fluoridation: The Great Dilemma. Coronado Press, Lawrence KS 1978. Chapter 18. Nyt fra miljøstyrelsen (Newsletter of National Agency of Environmental Protection, Denmark). Special issue (in English), February, 1977. Fluor i karies- förebyggande syfte (Report of Swedish Fluoride Commission). Statens Offentliga Utredningar, Stockholm 1981. English-language summary pp 21-30. Grimbergen GW. A double blind test for determination of intolerance to fluoridated water (preliminary report). Fluoride 7 146-152 1974. Hirzy W. Press releases. Fluoride 26 279-281 1993; Fluoride 30 258-259 1997.